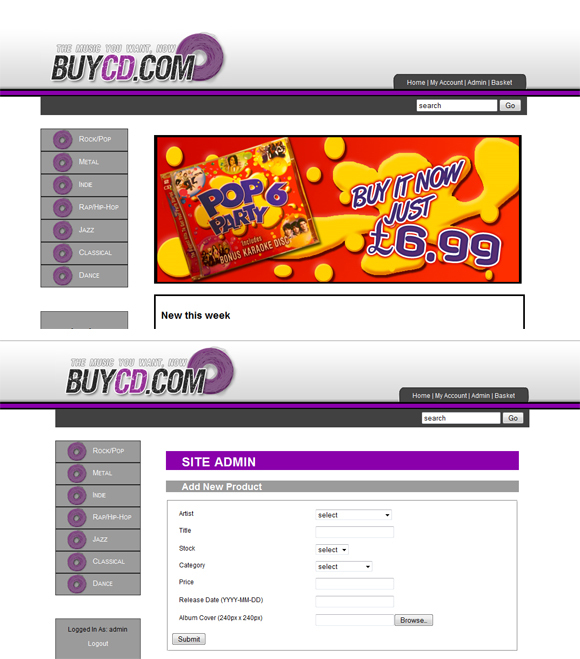 Work from my Online Business Systems module. We had to create an online store to sell a product. The prototype was built using just XHTML and CSS but for the second aprt of the module a fully working version was build with PHP and MySQL and included a working registration, login, add product, edit product, remove product and search.